Mississauga’s Morgane Echardour and Peter Doucet were the top finishers at today’s Trillium 10k. The race, which saw a dozen skaters start, was held in wet conditions in Mount Forest, Ontario. 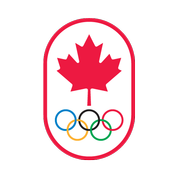 The 2009 Roller Sports Canada Outdoor Speed Championships will be taking place July 3rd to 6th in Toronto. The racing will take place at the Father Redmond 400-meter track near Lakeshore & Kipling. Christ the King 200-meter track will serve as a back-up venue. Please note that entries are due June 17th.